Area Agency on Aging (AAA) is responsible for the planning, coordinating, and monitoring of services for county residents over the age of sixty. The NCAAA is part of a state and national network of agencies established to aid older adults with a wide range of services. 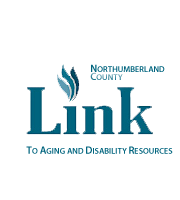 It is the intention of the Area Agency on Aging to provide assistance to those in need, encourage older adults to work through problematic situations, and to assist individuals to remain active and independent within the community. Referrals can be made by calling (570) 495-2395 or 1-877-NCAAA-51. Our Intake and referral department have trained staff who take all referrals and seek to obtain the necessary information, screen inquiries for appropriateness and transfer to the intended AAA department for follow up. Services are subject to "cost sharing," in accordance with Pennsylvania Department of Aging regulations. "The Older Americans Act" provides the opportunity for AAA's to accept contributions in order to continue to assist elderly in obtaining services.